A leading UK and European-wide heating and ventilation insulation company which started life in the front room of a home in Solihull has moved into new premises as business grows year-on-year. Denco Thermal was established by the then managing director Dennis Coles and company secretary Jill Coles as a start-up business in 2005 in Warwick Road before re-locating to Homer Road in the town. With turnover growing to £6.4 million in its latest accounts, the company has a new base at the Blythe Valley Innovation Centre in Central Boulevard, Solihull, for its eight office staff including an apprentice estimator. The business also employs 60 on-site supervisors, operatives and apprentices at locations across the UK and further afield to complete work on high-profile contracts which has included Birmingham Children’s Hospital, The Shard in London, John Lewis stores in Leicester and Cambridge, and a data centre in Switzerland. Peter Coles, the current managing director, said Denco Thermal has gone from strength-to-strength over the last 14 years. 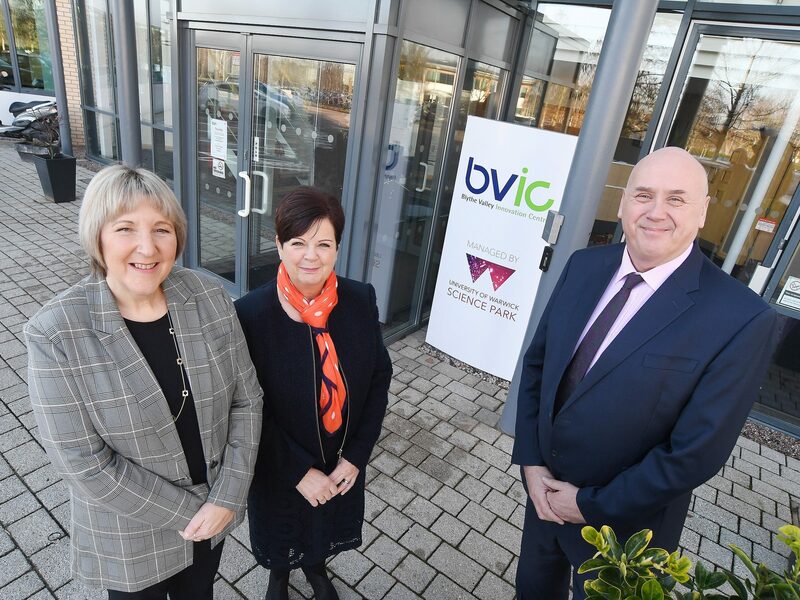 “We started out as a fledgling business in a front room putting together the estimates and sorting jobs out, and moving to the Blythe Valley Innovation Centre is our third move,” he said. “We are a progressive company and we’re looking to take on more apprentices. We are actively looking for a new contracts manager and apprentice in London because we don’t want to standstill. “Currently, we are working on Primark stores in Brussels, and a data centre in Sweden but we predominantly work in the Midlands and South of England. “Solihull, and the Blythe Valley Innovation Centre in particular, is a good base for the travelling we do because of the road networks and nearby train stations. Denco Thermal’s first major contract was at the internationally-renowned Addenbrooke’s Hospital in Cambridge and the business has formed an Enhanced Supply Chain Partnership with Balfour Beatty Engineering Services which has led to being involved in contracts worth up to £2 million. Janet Bunch, centre manager at the Blythe Valley Innovation Centre, which is operated by the University of Warwick Science Park and owned by Solihull Metropolitan Borough Council, said: “Pete, Jill and their senior team have over 70 years’ experience in the industry and that is reflected in the high calibre of projects that they have been involved in. “Denco Thermal has been involved in providing the heating and ventilation insulation at a number of striking buildings in the area including Birmingham Library and the National Automotive Innovation Centre at the University of Warwick.